Among the most innovative and cutting edge dentists in Bloemfontein, Cape Town and Pretoria, NuDENTAL's goal is to serve our community with affordable, state-of-the-art oral healthcare and wellness. General dentistry is the branch of medicine involving the care and prevention of oral health conditions, diseases and disorders. Our aim is to use preventative care and patient education to preclude the need for treatments and instead promote a healthy smile for life. Dentists are also responsible for diagnosing conditions that affect the mouth, teeth, gums and jaws, as well as develop the most effective treatment plan with the patient’s best interests in mind. We advocate preventive care, rather than corrective treatment. By visiting our team of dentists, hygienists and dental technicians twice annually for cleaning and examination, patients can avoid decay and identify potential oral health conditions, such as periodontal disease, in their earliest stages. Routine dental checkups provide an opportunity for you to get your teeth and gums cleaned to prevent cavities, plaque build-up and disease. Plus, regular teeth cleanings give you a brighter, whiter smile and eliminate gum decay or disease to maintain healthy teeth and gums. Straight teeth are one thing but nothing compares to the pizzazz of having the perfect pearly whites. Here NuDENTAL, our aim is to deliver the best in innovative laser teeth whitening. 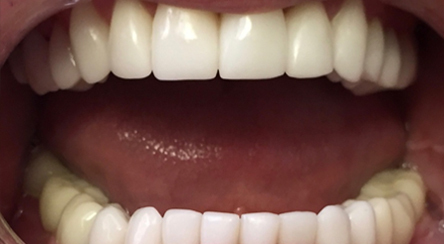 The light accelerating bleaching technology of the ZOOM teeth whitening system we use gives an instant and long lasting result of pearly white perfection. You will not go home disappointed, but beaming, literally, with the satisfaction of star treatment from the team at NuDENTAL. With just an one hour cosmetic teeth whitening session at our practice, you’ll see instant results. Whitening procedures have effectively restored the smile of people with stained, dull, or discolored teeth. The darker tissue of your teeth, the dentin, can become exposed as the outer layer of enamel is worn away by the effects of aging or things like caffeine, red wine and tobacco. Prior to all treatments a professional consultation is carried out by one of our expert dentists. What really sets us apart is the fact that we give our clients a very clear idea of the likely results during the free consultation period itself and prior to any treatment taking place. 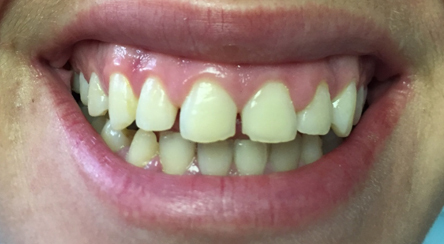 We do this by taking a shade sample of the teeth’s color, which is then compared to the likely color of teeth that will be achieved after treatment, giving you very clear and visible results. 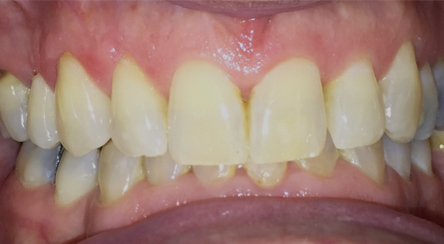 Teeth are then cleaned thoroughly with an activator to prepare teeth for treatment, this will also remove accumulated debris ensuring treatment is most effective. Teeth are then coated with our specially formed whitening agent containing either a hydrogen peroxide or non-peroxide based solution. 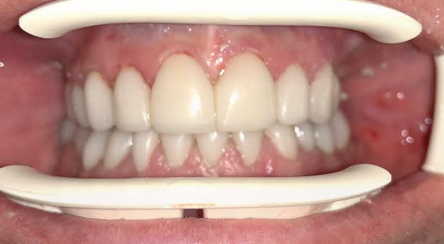 After applying the special mouth guard, a high energy Blue Spectrum LED light is distributed evenly over the teeth. completed in two to three 20-30 minute cycles. The full teeth whitening session is completed within 60 minutes with amazing and instant results left for you to enjoy. Your teeth whitening results are then verified, confirmed and recorded. Professional aftercare and maintenance advice is provided. You are sent home with special personalized trays and a brightening solution ensuring results are maximized well into the future. 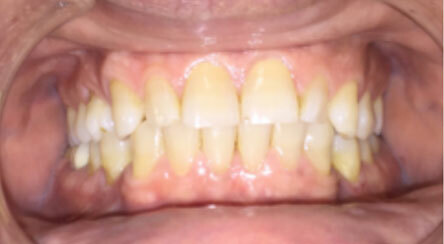 The effect teeth whitening can have on your quality of life can be substantial. A bright, white smile can help you feel more confident, boost your self-esteem, and make you more willing to partake in social situations. Teeth whitening can do far more than revitalize your smile – it can revitalize your self-image, your mannerisms, and the impression that you make on others. The very young, preteens, and teenagers all need different approaches in dealing with their behavior, guiding their dental growth and development, and helping them avoid future dental problems. Our pediatric dentists are best qualified to meet these needs. In our state-of-the-art dental practice we are dedicated to treating all children like our own. The practice has the latest technology and the safest proven modalities, to ensure that your child receives the absolute best dental care available, in a supportive environment. Some features include extra-oral digital dental x-rays, which use 90% less radiation than traditional dental x-rays while improving comfort and minimizing gagging as the image is captured easily with no bulky mouth pieces to bite on. Anxious children are comforted and guided through the dental visits by dentists and staff that are well trained and experienced. They truly care and will go the extra mile to make every child feel special. At NuDENTAL we perform root canals in one visit on anterior, premolar and molar teeth. We use the latest rotary root canal technology. This allows us to minimize visits to the practice and make the root canal experience much more comfortable and predictable. At NuDENTAL we can provide safe anesthesia and sedation dentistry to ease your fears and make you completely comfortable. In fact, many of our patients are so comfortable they fall asleep during the procedure! We offer relief from this pain with modern “root canal therapy” which can include the side benefit of keeping your natural tooth in place. Root canal therapy, also called endodontic therapy, can be performed under local anesthesia to minimize any discomfort. During your root canal procedure, a dentist will clear the infection and sterilize the nerve chamber in your tooth in order to completely eradicate any harmful bacteria from the infected area. The dentist will then seal your tooth with a dental crown customized to match the look and shape of your teeth or simply use a tooth colored inlay if the cavity is not too large. Both these methods also provide extra support and protection for your tooth to help prevent further damage or infection. At NuDENTAL we perform implants for a single missing tooth, multiple missing teeth, or to replace or stabilize a removable denture. Do you need replacement teeth, but the thought of using dentures doesn’t appeal to you? Consider dental implants by one of the dentists at NuDENTAL. Dental Implants are the permanent alternative to dentures that look like your natural teeth and do not need adhesives! Unlike dentures, implants offer more stability and support for your teeth, while also being virtually indistinguishable from your natural teeth. They do not move along your gums and can also improve your ability to speak and chew. One of NuDENTAL’s experienced cosmetic dentists will discuss the most effective dental implant treatment options with you during your initial consultation to achieve life-changing results. At NuDENTAL we do minor oral surgeries including the removal of wisdom teeth. These procedures can be done in the dental chair in the practice or during general anaesthetic in a day theatre. It should only take a few days for you to heal and feel back to normal. You’ll meet with your dentist to discuss the process. Wisdom teeth are the most commonly missing teeth in adult mouths. You’re also more likely to have issues with these molars than with any other teeth. Plan time off from work or school to have your surgery and rest afterward at home. Local: Your dentist will numb your mouth with an injection. You should feel alert again shortly afterward. IV sedation: The surgeon will numb your mouth and also give you drugs through a vein in your arm to make you drowsy. You might sleep during the whole procedure. General: You’ll either get drugs through a vein or breathe gas in through a mask. You’ll be asleep the whole time and might not wake up for an hour or so after the surgery. Our traditional braces are the standard orthodontic treatment option revamped with quality materials, increased comfort, and minimized visibility. We use high-grade stainless steel, thin arch-wires, and a wide range of elastic colors, allowing you to customize your braces. Our clear braces, made out of ceramic, are the limited visibility variety of traditional braces. Clear braces are attached to your teeth. Clear braces offer all the benefits of traditional braces with decreased noticeability. If you have multiple teeth missing or all teeth missing from your lower and/or upper jaw, the dentist at NuDENTAL may recommend Dentures to replace your missing teeth. Modern dentures look real like your natural teeth and are comfortable. These are manufactured in our in-house lab so turnaround time is sucnificantly reduced. A full denture replaces all your teeth on the top or bottom of your jaw. 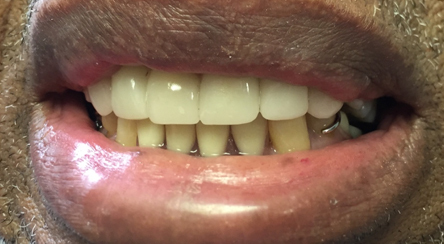 A “partial denture” replaces a few missing teeth and fits like a puzzle piece in your smile. The “false teeth” in a denture are attached to a gum-colored base which is held in place by denture adhesive, clasps that attach to existing teeth, or dental implants. Your dentist will help you determine which type of prosthetic is best for your unique situation. With our in-house dental lab and technician and the use of the world leading CEREC Milling Unit, a single visit might be all you need for Crowns, Veneers and Inlays! 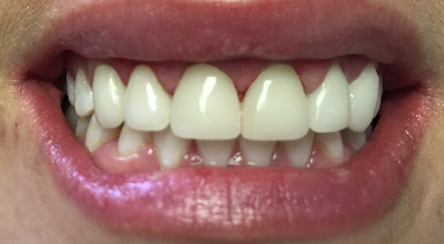 The recommendation for your dream smile may be a porcelain tooth crown, fitted and applied on your prepared tooth by one of the restorative dentists at NuDENTAL in a single visit! When you are suffering with a damaged or fractured tooth, all you want is the use of your teeth back and a complete smile without an unsightly tooth. 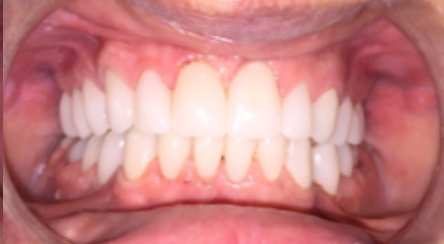 Porcelain crowns are an attractive, proven, and reliable solution. An inlay is a premolded filling fitted into the grooves of a tooth and do not extend over the cusps of tooth. 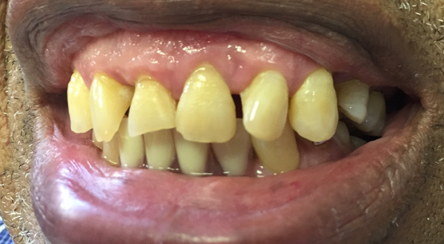 This is one of the restorative methods used to repair a tooth after it sustains harm from injury or decay. Your NuDENTAL dentist takes scan of the area where the inlay is needed with an intra oral camera. This digital data is then sent to our CEREC Milling Unit where the inlay immediately starts to be milled. Inlays are manufactured from porcelain or composite resin material matching the color of the tooth, and provide almost invisible dental restoration while repairing the chewing surface. 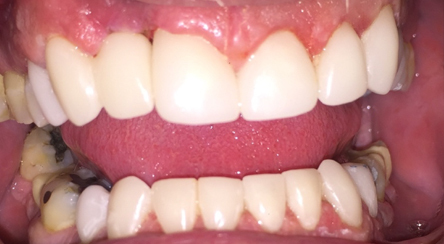 Dental inlays are generally more durable than regular fillings made from composite. 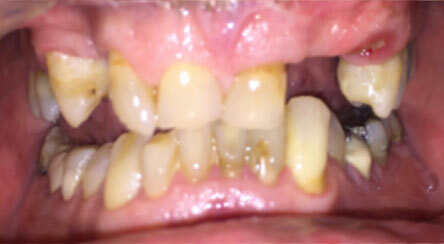 Broken, fractured or decayed teeth where it does not affect the cusp of the tooth. It is extensive enough to require a large dental filling that may weaken the remaining structure. 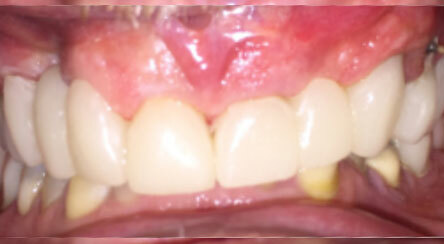 The level of injury does not allow for removal of enough tooth material to support mounting a crown. Inlays and fillings restore your smile while preventing further decay. Your dentist will be able to advise which is the best option for you. Full-mouth reconstruction involves a combination of restorative dentistry and cosmetic dentistry procedures. Together, these treatments rehabilitate teeth and gums, creating a new and improved smile in both appearance and function. At NuDENTAL, our restorative dentists have the experience and expertise to rebuild your oral health into a flawless, comfortable smile. 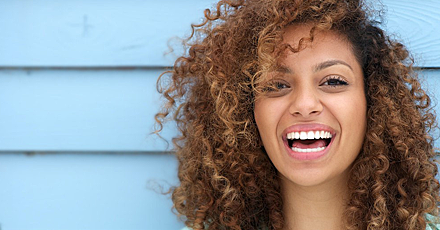 The “restoration” part of full-mouth reconstruction ensures that your teeth, bite, and jaw all work together properly so your smile is structurally sound and moves and works properly. Once your gums and teeth are clean, healthy, and fully functional, the cosmetic portion of your full-mouth reconstruction can begin. Your dentist will discuss all the treatments that can be part of your full-mouth restoration. Procedures can include gum disease treatment, dental implants, porcelain crowns, fixed dental bridges, root canal therapy, tooth extractions, cavity repair, teeth whitening, and porcelain veneers. Your individual reconstruction plan could also include orthodontic treatment, inlays or onlays, dental bonding, or TMJ treatment. Single day restoration. Your NuDENTAL dentist will assess the health and options available to you, and in most cases a single day smile makeover is possible. We have an in house Cerec Milling unit which can mill teeth and inlays in a matter of minutes, and with the help of our in-house dental lab things are sped up even further. If gum disease treatment, tooth extractions, or root canal therapy are necessary, these procedures will be conducted first to reestablish a healthy foundation so your mouth is ready for the new smile that awaits you. Be committed. Full-mouth restoration is a complicated venture, but if you are determined to restore your oral health, we are too. Your dentist will develop a comprehensive treatment plan to revitalize your oral health using innovative technology and modern dentistry procedures. When the foundation of your smile has been compromised, there is no waiting it out and hoping the problem will get better. It won’t. If you are experiencing any of the above symptoms or other discomfort and worry about your teeth and gums, you need the attention of a NuDENTAL restorative dentist. The good news is that your dentist has seen everything when it comes to oral health problems. 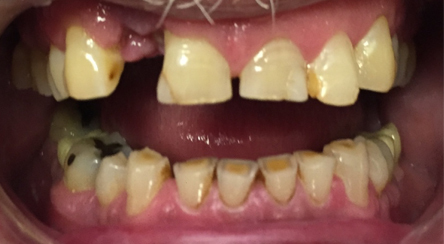 There is no measure of disrepair, gum disease, tooth stains, or broken teeth that your dentist has not addressed in other patients – and he/she is not there to judge the state of your mouth. He is there to make your journey to a new smile as easy, effective, efficient, and long-lasting as possible. There are many reasons people have tooth and gum problems, whether you have been without medical aid, thought you could not afford dental care, suffered an injury, or are living with poor dental work. 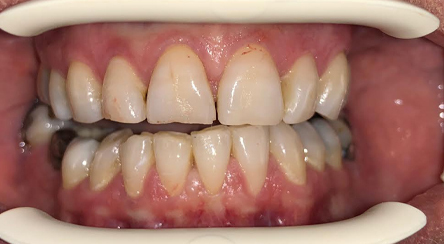 All your NuDENTAL dentist wants to do is ensure that your smile, no matter how damaged it is now, becomes new again. Yes An aspect of dentistry that is sometimes overlooked are your facial aesthetics. An appealing, well-balanced facial profile and appearance helps your smile to stand out, and gives you a healthier, more youthful overall appearance. At NuDENTAL, our dentist offers several treatments to help you enhance your facial aesthetics and improve the appearance of your smile. We invite you to contact our practice to learn more about the treatments to improve facial aesthetics and to schedule your consultation. These treatments generally only take a couple of minutes to complete. Often, they do not require any anesthesia, though our dentist may provide you with a local anesthetic if you are receiving your facial aesthetic treatment in a more sensitive area. In addition to helping you improve your overall appearance, facial aesthetic treatments also help to eliminate or manage TMJ/TMD (clenching) induced headaches, migraines, and facial pain, and can limit the need for surgery or gum recontouring for patients with “gummy” smiles. Botox is a neuromodulator that relaxes the treated muscle to soften wrinkles. Our dentists posses experience, advanced knowledge of facial anatomy, and an artful aesthetic eye, all requirements to place the product successfully. In order to work with your own natural bone structure, fillers require an artful eye and a skilled hand. The goal is to achieve your own youthfull rested appearance while enhancing under eye areas, cheeks, jaw, lips, temples and eyebrows as needed. Sedation dentistry has continued to evolve dramatically over the last 40 years as more options are made available to patients. In order to perform sedation, dentists are required to become accredited and complete additional training. However, its widespread acceptance and use has come about more slowly than medical sedation. Fortunately, dental sedation is now used worldwide. It has proven to be a safe and effective option for a variety of patients and procedures. Oral Sedation (pill) ~ This is the lowest level of sedation we administer, usually for patients who are afraid of getting a shot, or are just anxious about having dental work done. Usually one pill is taken an hour prior to the dental appointment. This relaxes the patient, and the patient will remember virtually nothing regarding the work they had done. Full anesthetic in a theatre – This is usually used for wisdom tooth removal or more major surgeries that need to be done. Patient is admitted to the day hospital at Preller Walk, and put under full sedation by qualified anesthesiologist. Work is completed and the patient released the same day. With conscious sedation, most patients describe feeling as though they have “slept” through the appointment. Those who have had oral sedation often compare it to feeling like they are “floating” or to having had a few glasses of wine, depending on the type of pill and dosage. With full general anaesthetic, patient will wake up slightly confused, but wont remember anything for the time they were sedated. The first two sedation methods will allow you to communicate with your dentist during the procedure. Throughout the appointment, your doctor will closely monitor your vital signs and overall comfort level. Francois and his practice team are great. Loving my new smile! Highly recommended. Highly professional. Thank you! 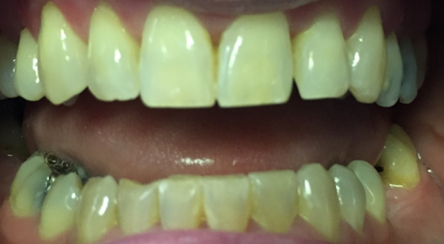 New smile – New me! 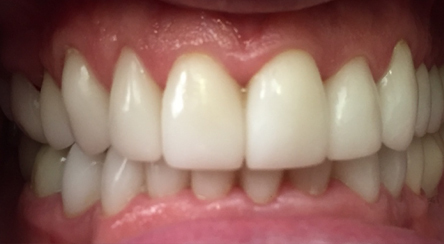 Had an amazing experience with NuDENTAL – True Artisan Dentistry. Thank you NuDENTAL for your professional and friendly service. Absolute Perfection!